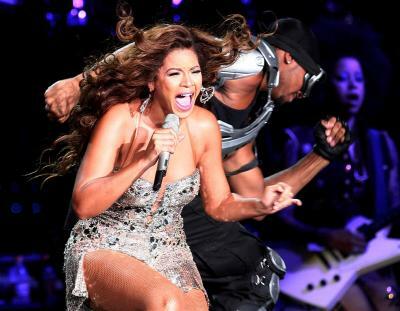 And here you see Beyonce strutting her stuff at a concert in Shanghai. Nice to see the girl looking healthy again after she downed 20 pounds in about 20 seconds for her role in Dreamgirls. 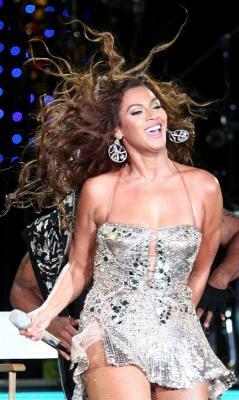 But Beyonce and her curves are back in full force. If you look closely, you can see she’s well aware of it, I believe that may be some control top underneath the hanky dress there.